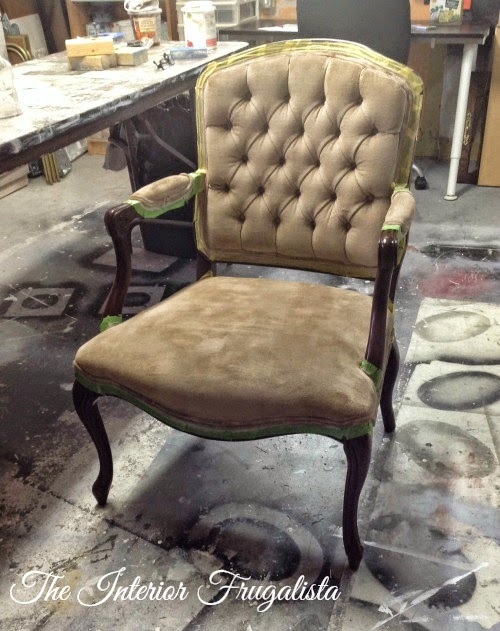 Did you know you can paint upholstery? 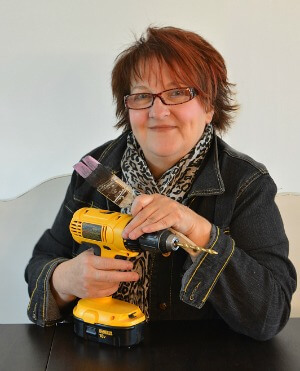 That's the question I asked my client when she approached me about refinishing her husband's French Provincial Arm Chair for a surprise Christmas gift. 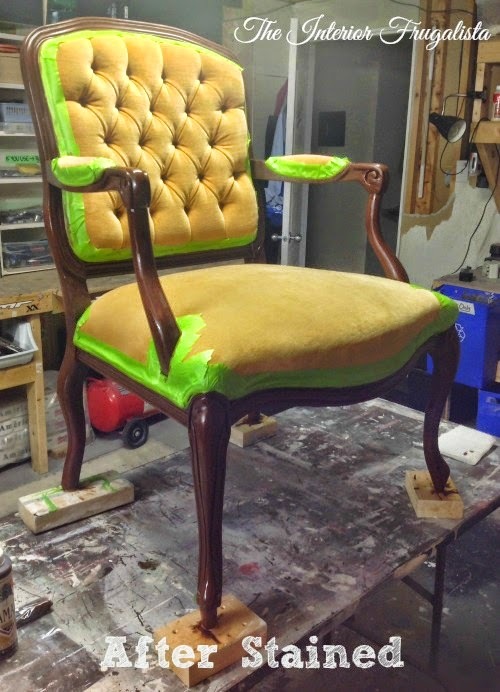 She had two goals in mind for this chair; change the gold velvet upholstery and remove the red tones in the wood to complement her husband's dark walnut antique desk. 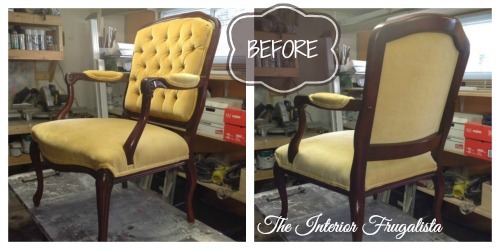 We discussed the option of both reupholstering the chair and either painting or restaining the wood. Both time-consuming options that would take her over budget. Both the frame and the fabric were in very good condition. I asked her if she would trust me to try a less conventional option that would fit within her budget. 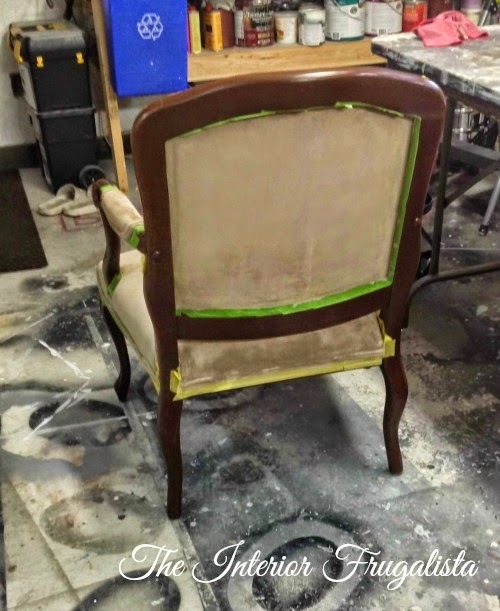 She was all ears when I told her I could change the gold fabric by painting the upholstery with chalk paint and apply a dark walnut water based stain over the existing wood. I was surprised but thrilled when she gave me the thumbs up and entrusted me with her husband's chair that he inherited from an Aunt. This is what the chair looked like before. It's hard to tell in the picture but the wood is a dark cherry color. To protect the fabric around the frame, I used painter's tape (as pictured below). Next, I cleaned the wood with a Natura Liquid Sander/Deglosser using an old toothbrush. I followed that up with a medium grit sanding sponge to rough up the wood a little so it would have some bite. Using a small foam brush, I applied Canadian Maple Water-based Wood Stain over the prestained wood and wiped off the excess. I could have gotten away with just one coat but I gave it a second to completely remove the red tones in the original stain. After the stain completely dried, I applied two coats of water based Tough Coat protective finish, also using a small foam brush. Painting upholstery isn't difficult but what I didn't anticipate was that it would take five coats to completely cover the gold. With a drying time of 24-hours between coats, this makeover was far more time-consuming than I had anticipated. Mix paint in a sealable container in a 1:1 ratio with equal parts paint to water. Dampen (not saturate) the fabric using a spray bottle as you work. Apply the paint with a brush following the nap of the fabric. Pull open the tufting with your fingers and make sure to apply paint inside. I used a large round tip art brush. 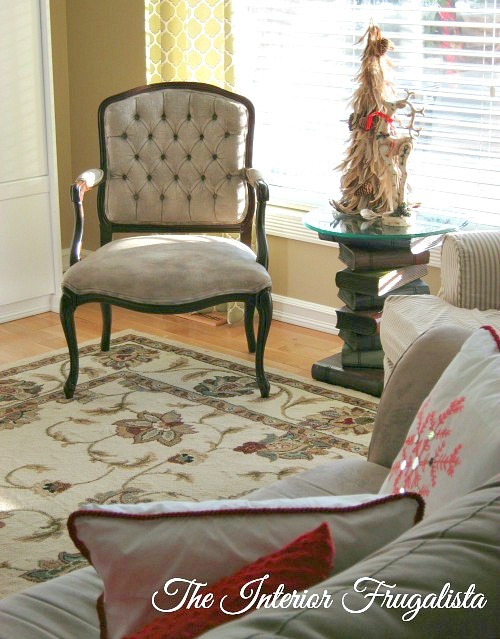 Note: Don't skip this step because the tufts spread open when sitting in the chair, revealing the fabric underneath. After it dries for 24-hours, soften the fabric by lightly sanding it. I used a soft manicure brush following the nap of the fabric. Don't panic when you noticed the fabric feels crusty and hard. In the final step I share how to soften the fabric. 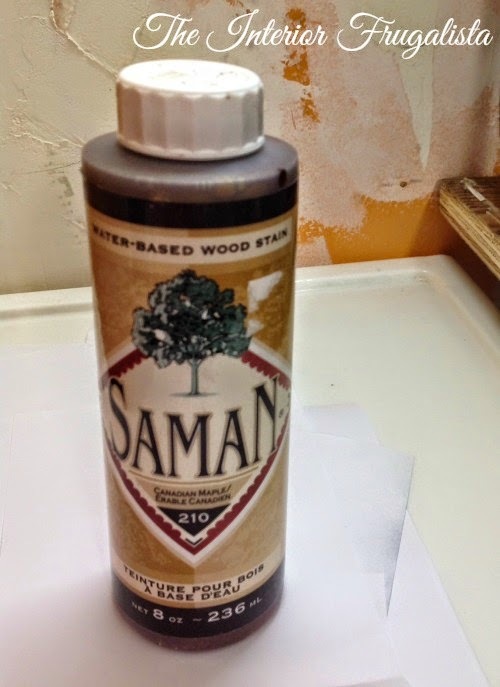 Using the water bottle again to lightly dampen the fabric, I applied a second coat of diluted chalk paint. After it dried for 24-hours I lightly sanded it with the manicure brush towards the nap of the fabric. Pictured below is after a second coat on the back of the chair. Repeat Step 1 until you have full coverage. 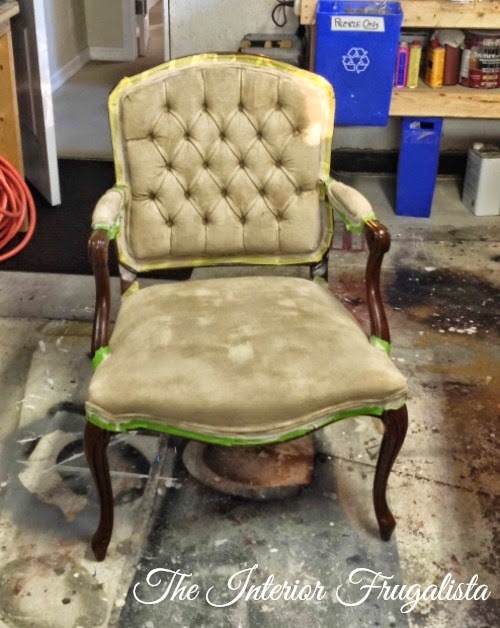 Pictured below is the chair after three coats of chalk paint. Normally you will get complete coverage after two or three coats but that gold was a stubborn beast. I stopped taking pictures after the third coat because the panic button was on as Christmas Day was quickly approaching. After the final coat of paint is sanded, apply a thin coat of clear wax with a white lint free cloth. 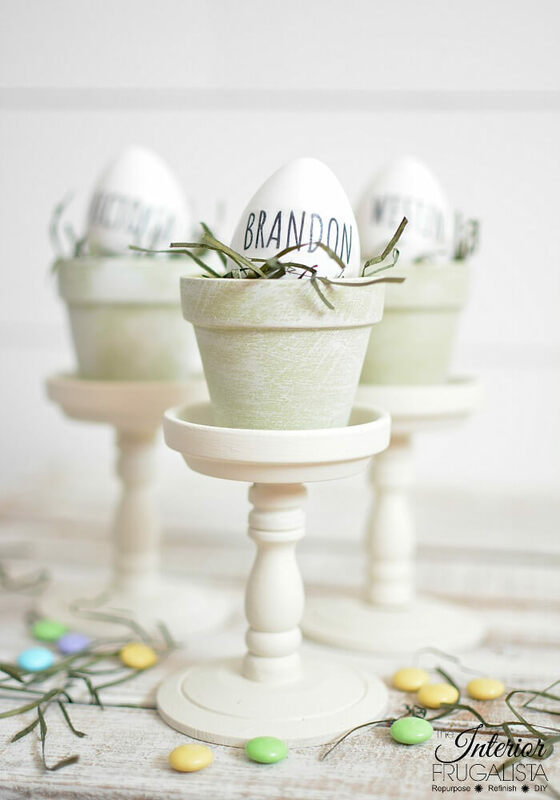 The chalk paint will absorb the wax and there will be no residue after it cures. I didn't use much and removed any excess without vigorous buffing. The fabric feels like soft leather once cured. I apologize for the quality of these pictures. I was loosing daylight and time before my client was picking up the chair. When I brought the chair upstairs to take pictures I fell in love with how great it looked in my living room and wished it was mine. When she came to pick it up she was distracted by the shiny things on my Christmas tree and walked right by the chair. We had a good laugh when she turned around and shouted, "Oh my gosh is that my chair?" I hope on Christmas morning her husband had the same reaction. Would you attempt to paint upholstery? 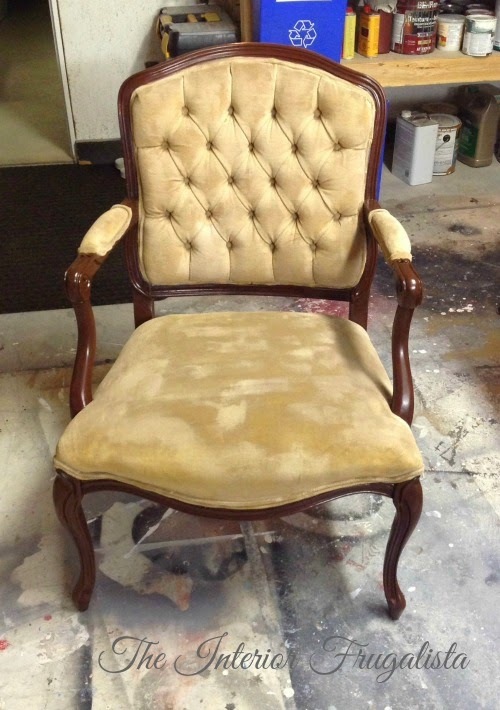 I bravely painted the fabric on two other chairs; French Provincial Chair and Living Room Wing Chair. 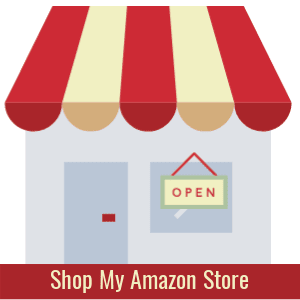 You will find this project shared at the following LINK PARTIES.